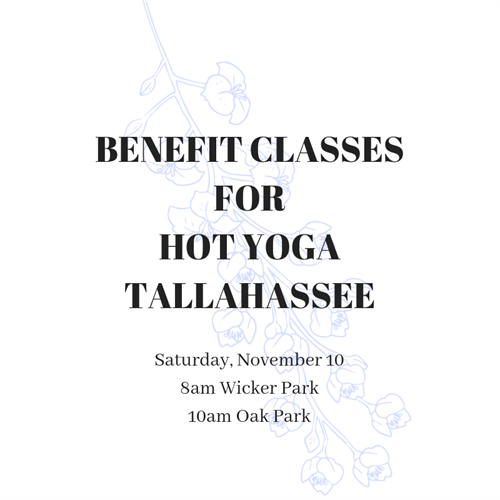 NATURE YOGA: Benefit Class for Hot Yoga Tallahassee - Nov 10, 2018 - Oak Park-River Forest Chamber of Commerce, IL ? A horrific shooting occurred on November 2, 2018 at a yoga studio in Tallahassee, FL that left 2 people dead and 5 others injured. There is now a fund set up to help the studio owner rebuild, as well as to support the victims and victims' families. TULA Yoga and Nature Yoga Sanctuary will be joining together to donate the proceeds from the following classes on Saturday, November 10th to this fund. Please attend to help support this community financially and emotionally as they navigate a difficult time. Regular class rates apply. Additional cash donations are appreciated and will be passed on.